The fashion at this year's Golden Globe Awards shifted from otherwise flashy to focused. Focused, that is, on sending a message and conveying a powerful show of solidarity for the mission of anti-sexual harassment group Time's Up. 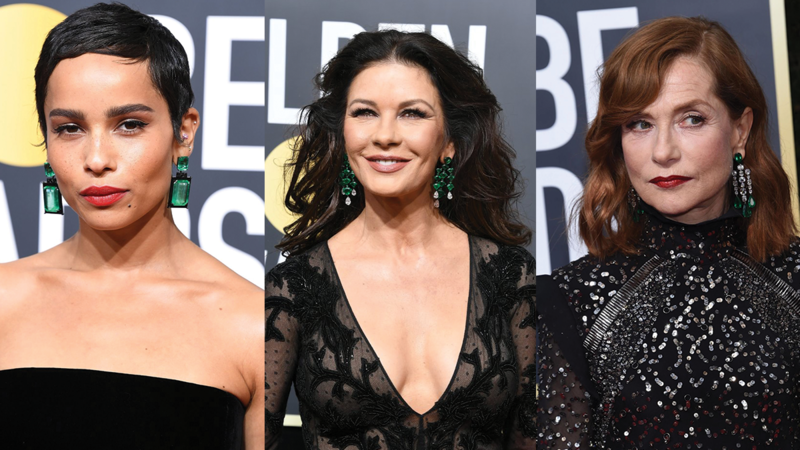 This year's female attendees sported looks in all black, and from a fashion perspective, we got to see how each actress made the formal-friendly hue her own. What we saw were gowns that featured beautiful pops of silver sparkle in all the right places. The strong silhouette that also dominated the carpet? Dresses with one sleeve were seen on everyone from Mary J. Blige to Saoirse Ronan. In some cases we even saw the combination of asymmetrical tailoring along with black with silver detailing. As for the key trend in jewelry, there was one choice in color that stood out from the rest: emerald. Although there were those that chose to go green with a necklace, we loved seeing the color in the form of statement earrings. ﻿Dakota Johnson in Gucci; Margot Robbie in Gucci; Saorise Ronan in Atelier Versace; Diane Kruger in Prada; Shailene Woodley in Ralph Lauren. 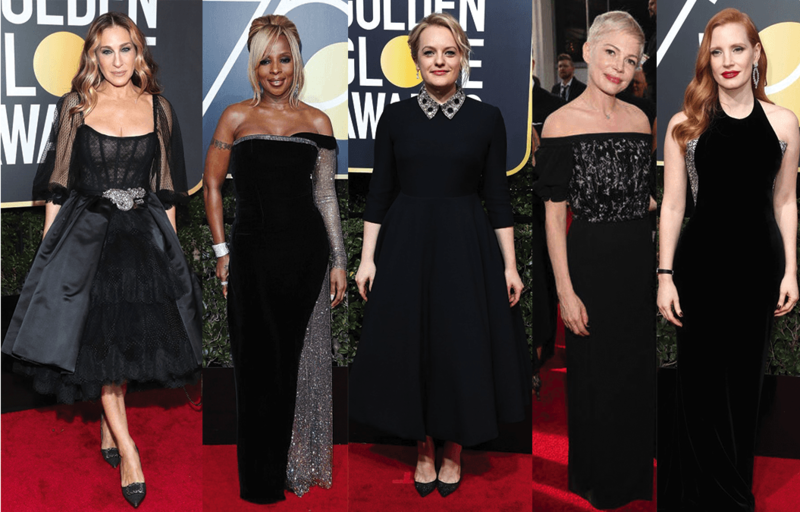 Sarah Jessica Parker in Dolce and Gabbana; Mary J. Blige in Alberta Ferretti; Elizabeth Moss in Dior Haute Couture; Michelle Williams in Louis Vuitton; Jessica Chastain in Armani Prive. 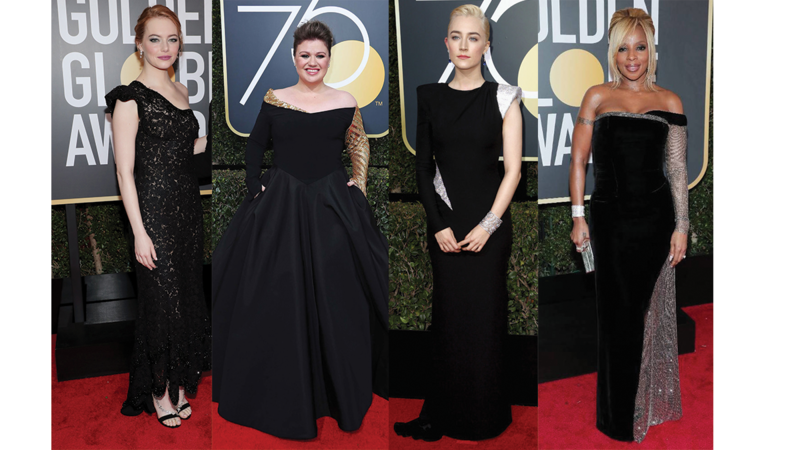 Emma Stone in Louis Vuitton; Kelly Clarkson in Christian Siriano; ﻿Saorise Ronan in Atelier Versace; Mary J. Blige in Alberta Ferretti. Zoe Kravitz and Catherine Zeta Jones in Lorraine Schwartz; Isabelle Huppert in Chopard.